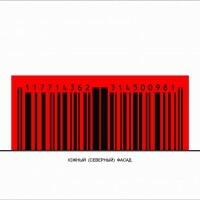 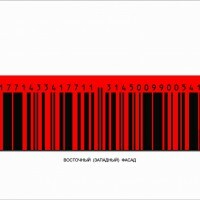 “Bar-code” (“Shtrikh Code”). 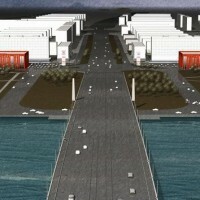 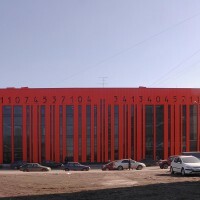 Multifunctional trade complex. 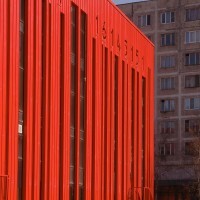 The building site is positioned on a Propylea-like formation at the entrance to the city via the Murmansk highway, set down in the Soviet era. 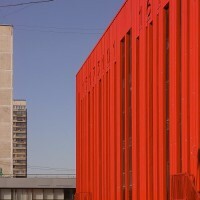 The buildings of the new complex form a single ensemble together with the VolodarskyBridge and the heroic formal square. 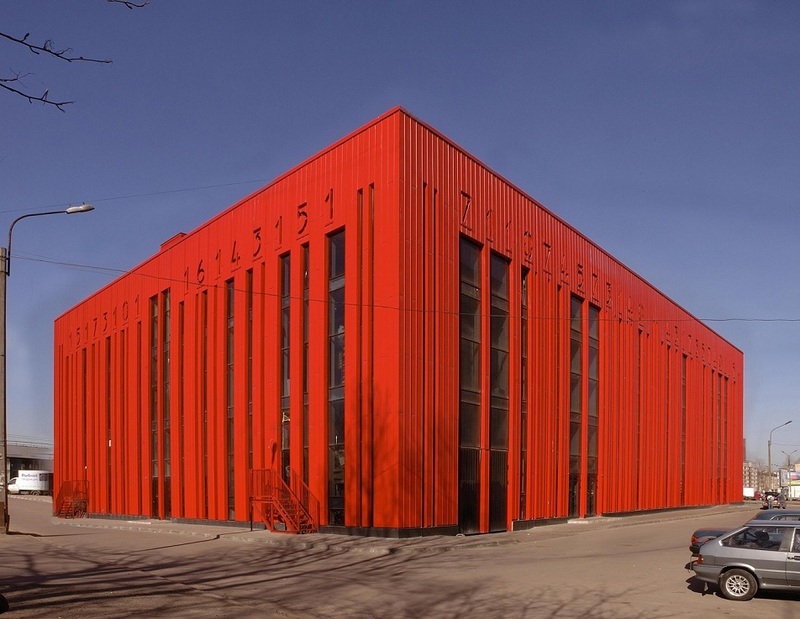 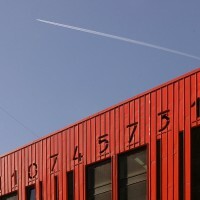 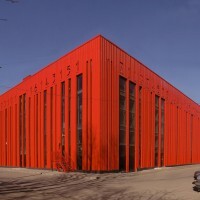 The complex consists of two similar buildings of a bright red colour, located symmetrically one opposite the other. 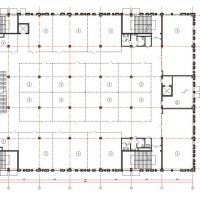 The 1800 sq. 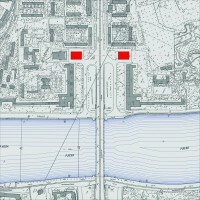 m. site is located in the Nevsky district of St. Petersburg, along house number 5, Narodnaya Street (to the west of house number 5, block A), by the descent from Volodarsky Bridge (right). 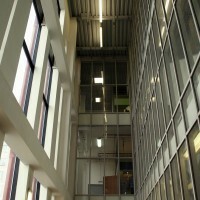 The building has four floors and is rectangular in shape. 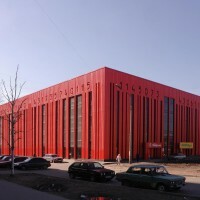 The main entrance to the building is from Narodnaya Street. 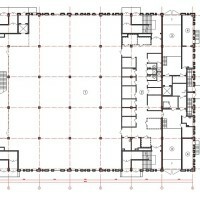 Technical, storage and utility rooms are collected in the opposite side of the building. 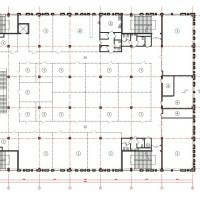 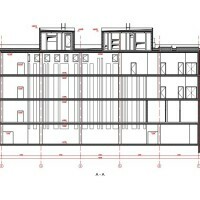 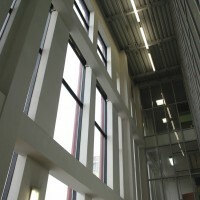 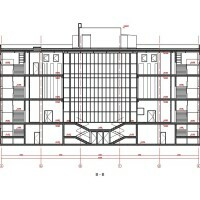 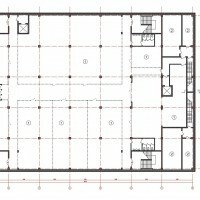 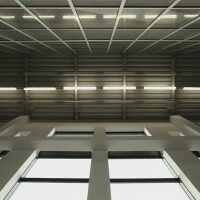 Necessary technical zones are located on the basement and ground floor, and on the roof of the building. 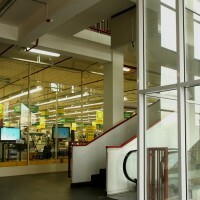 A grocery store is located on the ground floor, the second floor houses an electrical goods shop. 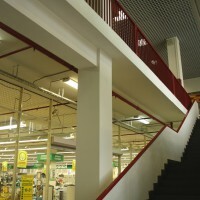 The basement and second floor have small shops selling manufactured goods, located along ‘shopping streets’. 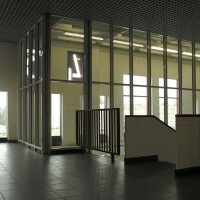 The shop zones are divided by translucent glass partitions. 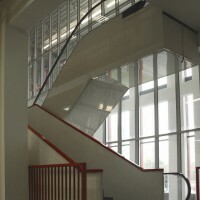 Evacuation from the building is designed to happen through the landings located at the four corners of the building which have direct exits leading outside. 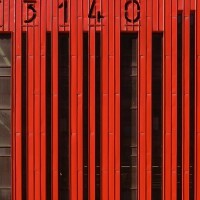 The figurative facade solutions are a variation on the bar code for goods. 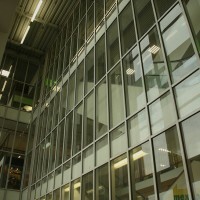 The facades are composed of alternating vertical slits with glass infilling (window construction with dark grey tinted glass) and bland areas of outer wall. 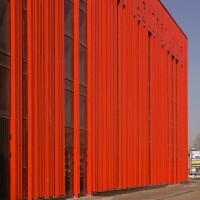 The outer walls are mounted over a metal carcass, with insulation and red metal cladding with grooved vertical joints.